It’s an incredibly exciting time at The Lighthouse! This week, we’re launching all-new branding, and we can’t wait to share it with you. Check out our Facebook page and Twitter profile for updates, and please read the official press release below. Thank you, as always, for supporting us! ATLANTA – Oct. 3, 2018 – The Georgia Lions Lighthouse Foundation, a provider of low-cost hearing and vision services for Georgia’s uninsured and low-income population, announced today the launch of its new brand logo and visual identity. 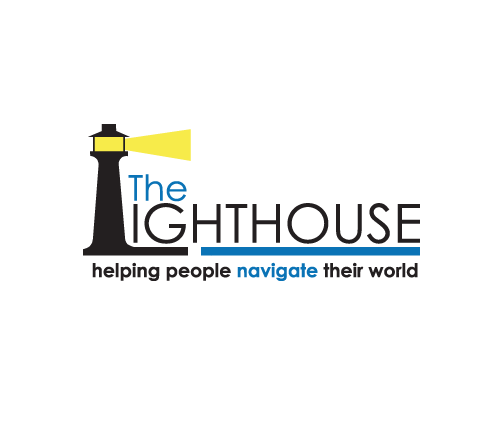 The organization, which is generally known and does business as The Lighthouse is simplifying and updating its look. The logo and tagline will also change. Founded in 1949 by members of three Georgia Lions Clubs, the organization’s name and logo have remained mostly unchanged for nearly 70 years. Changing technologies and audiences, in addition to a desire among key stakeholders to modernize, led to the conclusion that it was time to freshen the brand. The partnerships and reputation built under the organization’s former identity continue to be valuable assets. The name for the Georgia Lions Lighthouse Foundation, Inc., will be retained, but the organization will begin doing business as The Lighthouse. Its new, more contemporary brand logo is intended to improve the speed of recognition and to strengthen the organization’s identity. The “Lighthouse-L” will become a standalone brand icon and a visual connection and homage to the L in the Lions Club logo. The organization is also aiming to help broaden public perception of its available services with a new tagline, “Helping People Navigate Their World.” Presently, it is known primarily for providing free eye exams, low-cost eyeglasses, and heavily discounted vision surgeries; with this rebranding, the organization hopes to expand awareness of its pediatric and adult low-cost hearing-aid services. In all, the new branding exemplifies a robust and fast-growing organization that remains as deeply committed as ever to serving uninsured and low-income Georgians.